Make Your Surgery Much More Manageable! One of our main podiatry services here at Integrative Foot & Ankle Centers of Washington is minimally invasive foot surgery. These procedures can be performed through extremely small incisions to correct many painful foot diseases and conditions, including bunions, hammertoes, stiff big toe, painful calluses, diabetic foot ulcerations, heel pain, warts, and much more. Additionally, minimally invasive foot surgery allows us to perform these as outpatient procedures, meaning you can go home the same day after the surgery. But what exactly is minimally invasive foot surgery and what are its benefits? Minimally invasive foot surgery refers to a type of surgery done with a very small incision that requires little or no stitching. 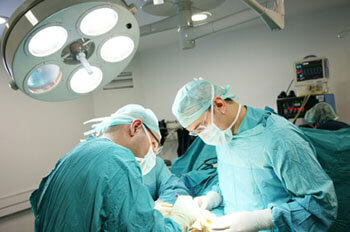 Through these extremely small incisions, surgeons insert specially designed instruments to perform the operation. Interventions are carried out through these small incisions and they have minimal exposure to the surgical field, causing minimal or no injury to the adjacent tissue. Because of this, minimally invasive foot surgery allows us to be able to control and predict a patient’s recovery and outcome more manageable. Minimally invasive surgery is first pioneered by Dr. Morton Polokoff in 1945, he developed these techniques as a system of sub dermal surgery using very small instruments. In the decades since then, further surgical advancements have led to the state of art procedures that we perform today, making minimally invasive surgery much safer and more comfortable for patients. However, these minimally invasive foot surgeries should be performed only by trained surgeons. They acquire these specialized surgical skills only after extensive training, continuing education, seminars, and fellowship within minimally invasive foot surgery community. Less injury – With minimally invasive foot surgery there is less injury to soft tissue. Compared to traditional open surgery where long incisions are made that may create more trauma to the soft tissue, minimally invasive surgery uses much smaller incisions disturbing less tissue and leading to a quicker recovery time. Less pain – Studies have shown that patients of minimally invasive surgery report less pain than those patients undergoing traditional surgery. As a result, patients of minimally invasive surgery require less use of pain relievers. Shorter surgery time – Because there is a small incision, surgery times for minimally invasive foot surgery procedures are often shorter than traditional open surgeries. Less anesthesia, more qualifying patients – Due to the nature of minimally invasive foot surgery procedures, patients often remain awake during surgery after careful local anesthesia to the foot area, reducing the use of general anesthesia. Therefore, what happens during these procedures is just the foot is asleep. This opens up surgery possibilities for patients who may have been previously considered at risk for traditional surgeries due to medical history. Less scaring – As a result of minimally invasive foot surgeries’ smaller incisions, scars left by these procedures are smaller and less noticeable. Of the scars that do form, they are often have less of a jagged edge than those left by traditional open surgeries.